Memorial High School Field Grandstands - MAST Construction Services, Inc. 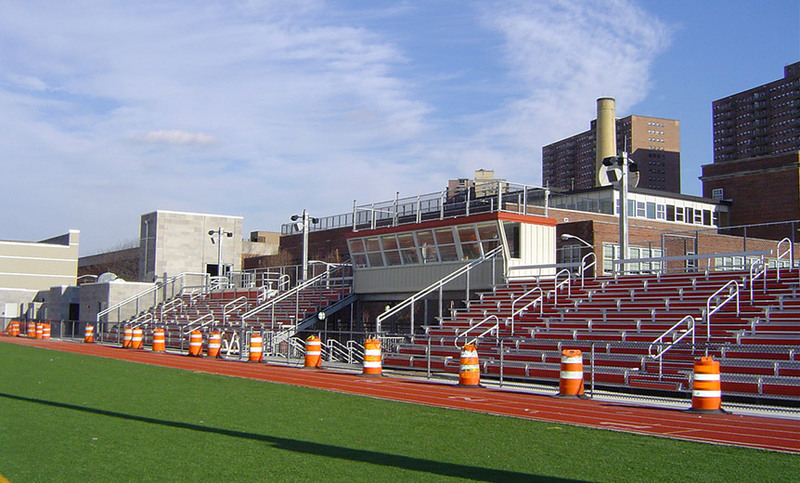 This project includes construction of a new Grandstand and Field House to enable the district to get the full benefit of a newly constructed Middle School and Football field. The grandstands and press box are handicap accessible via a new elevator tower. The Field House includes Men’s and Women’s restroom facilities, team rooms and a ticket booth.